links with the private financial and corporate sector are have come to the forefront, and there is an increased interest in what instruments, incentives, and governance work better in general and in particular contexts. 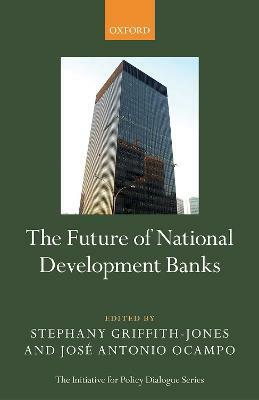 development, and analyses their roles within broader economic policy, their governance, and the main instruments they use to perform their function. Stephany Griffith-Jones is Financial Markets Director at the Initiative for Policy Dialogue at Columbia University, US, and Emeritus Professorial Fellow, at the Institute of Development Studies, Sussex University, UK. She specializes in national and international finance from a development perspective, capital flows and their management in different regions, and development finance. Griffiths-Jones has written or edited twenty-five books, including Time for a Visible Hand (Oxford University Press, 2010), and numerous articles. She has advised many international organizations including FEPS, the European Parliament, the World Bank, IADB, AfDB, and various UN agencies. She began her career at CORFO, the Chilean development bank. Jose Antonio Ocampo is a Member of the Board of Directors at Banco de la Republica, Colombia's central bank, Chair of the UN Committee for Development Policy, and Professor (on leave) from Columbia University. He has been UN Under-Secretary-General for Economic and Social Affairs, Executive Secretary of the UN Economic Commission for Latin America and the Caribbean, and Minister of Finance, Minister of Agriculture and Director of the National Planning of Colombia. He has received the 2012 Vicens Vives award for the best book on Latin American economic history, the 2008 Leontief Prize in Economics, and the 1988 Alejandro Angel Escobar National Science Award of Colombia. He has published extensively on macroeconomic theory and policy, international financial issues, economic and social development, international trade, and Colombian and Latin American economic history.